Happy one year to Xiaomi Malaysia! If you’re a big Mi fan, here’s some good news for you, because they are celebrating their first ever anniversary in Malaysia by offering up to 90% discounts on selected products. The first year anniversary sale will be held on May 28 from 10am to 9pm here. 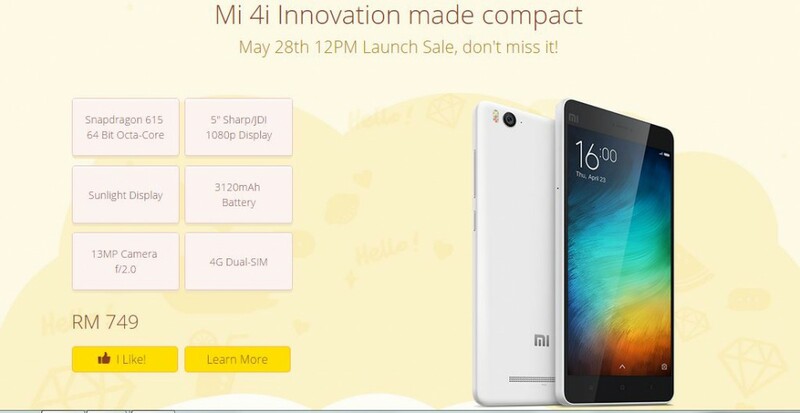 Mi 4i has officially released in Malaysia today and the launch sale is on the 28th of May from 12pm onwards at RM749, while stocks last. 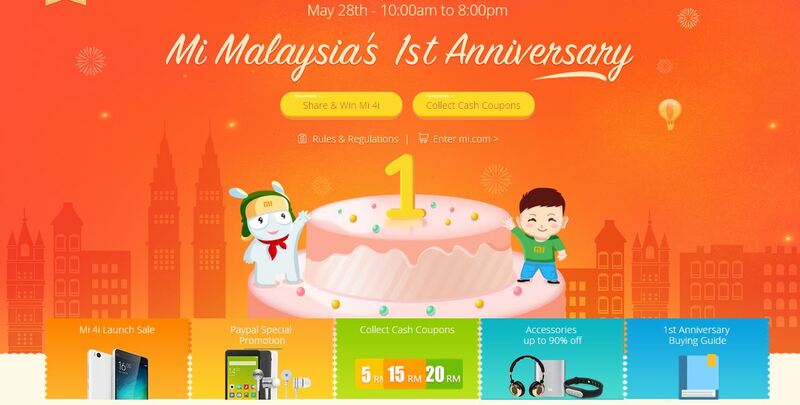 However, if you have been a Mi fan since 2014 and you have bought a product from their website specifically in the month of May 2014, then you’re in luck cos Xiaomi Malaysia wants to reward you. For the aforementioned fans, they get to have a 2-hour priority sale on the Mi website whereby they can start purchasing the Mi 4i from 10am onwards. You can check your eligibility at Xiaomi Malaysia’s website. Other than that, Xiaomi Malaysia are also offering other discounts, for instance the PayPal promotion. If you’re a PayPal user, you are entitled to enjoy additional 10% discount for certain products, just remember to select PayPal Special when checking out. This is a good chance to get Xiaomi products at a lower price. For more information about the sale, you can head to Xiaomi Malaysia’s website for more info or head to their Facebook page.